You and your team likely have ideas from time to time that you think would make a difference in the world. But how do you get your important ideas to spread, to engage a larger audience to see them, act on them, and even join a community around that experience? Perhaps more challenging, how do you create a trustworthy, human brand, when the world seems be relying on digital channels like social media that actually reduce our physical closeness to others? To help us answer these questions, our guest is Julien Smith. Julien is the CEO of Breather, an on-demand space company. 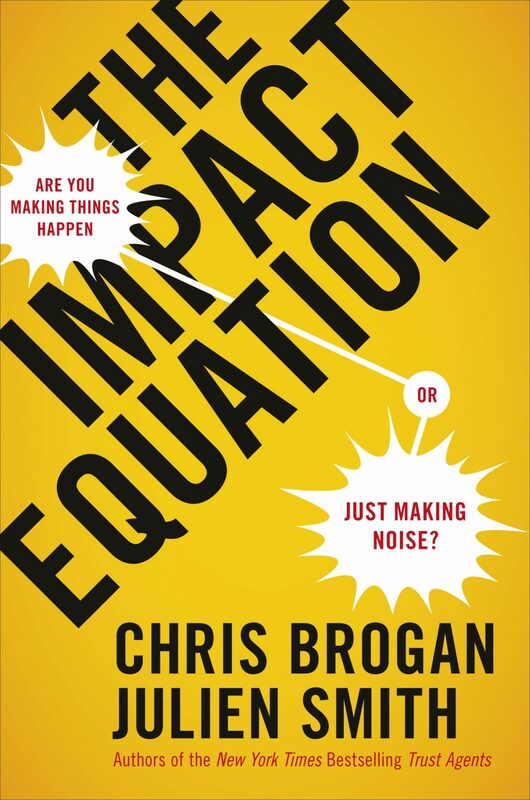 He’s also the New York Times bestselling author of three books, including his latest, The Impact Equation, which was co-authored with Chris Brogan. Julien has been an author, a CEO, a professional voice actor, a radio broadcaster, and a consultant and speaker at some of the largest corporations in the world, including Microsoft, American Express, and Heineken. To help listeners understand this equation, they break down each component and how it informed the launch of Julien’s exciting new company, Breather – a mobile app that allows you to find, reserve, and unlock private rooms with couch, a desk, fast wifi, and plenty of outlets.